The national multifamily market has slowed, mostly staying flat in rental rate growth. In September it experienced the first decrease in rates, though slight, in six years. The pace in the valley has stayed ahead of the curve. The national multifamily market has slowed, mostly staying flat in rental rate growth. In September, median rates experienced the first decrease in rates, though slight, in six years. The pace in the Las Vegas Valley has stayed ahead of the curve. A September report by Zillow said that nationwide median rents on multifamily units declined by 0.2 percent to $1,440 in September over the same time a year earlier, the first time since 2012 the bar fell to the negative side on median rent across the country. Aaron Terrazas, senior economist at Zillow, said the pace of Las Vegas’ rental rates are rising at a much faster pace than the nation as a whole, though they have slowed in their upward path. The surge in multifamily rents in Las Vegas began in late 2016, Terrazas said. 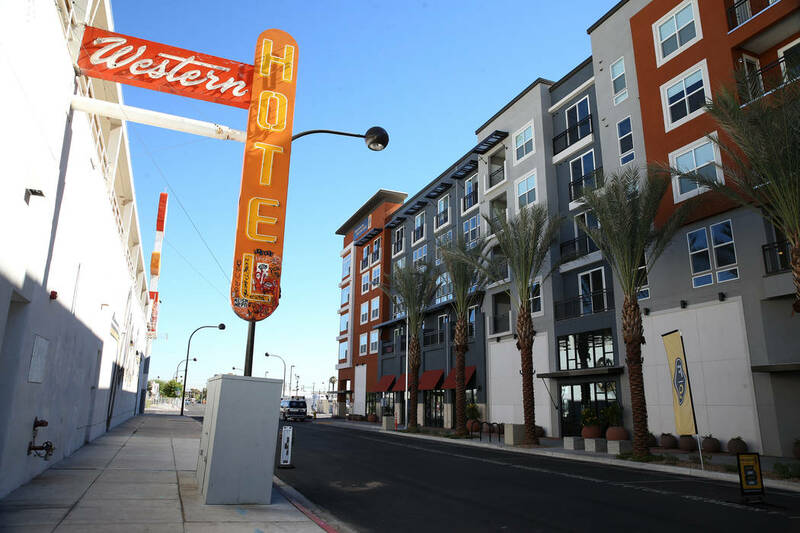 About that time, the Las Vegas Valley started to experience an influx of higher-end or luxury Class A multifamily development, which still dominates the product being built in the valley. “There has been a sustained period of very high multifamily investment over the past decade, particularly the high end of the market,” Terrazas said of the trend. Taylor Sims, multifamily director at Cushman & Wakefield’s Las Vegas office, agrees that development costs in the valley on multifamily product are a major driver for bringing more luxury product to the valley and charging higher rents. Some of these rising costs are for land, labor and construction materials. Sims addressed rising interest rates. “I don’t think interest rates are affecting us too much from a development side but more these rising costs,” he said. Sims said that many of the tenants are renting by choice and not by necessity throughout these new luxury, high-amenity properties, a product type that is set to expand locally. On the potential development side, Sims said some 22,000 units are in the pipeline over the next few years. But probably not all of them will come to fruition. Sims projects that about 4,000 units a year will come to the Las Vegas market. The 215 Beltway has been a major zone for multifamily development, but some of the new projects are moving farther south, Sims said. “That area has gotten priced out unless you find some good land sites, so a lot of groups are starting to go south,” he said. This includes in the vicinity of St. Rose Parkway in Henderson. According to a third quarter report by Colliers International Las Vegas, citing second-quarter numbers by research firm Reis Inc., roughly more than 700 units are scheduled to come online in the fourth quarter in the Henderson/Green Valley area with the newly opened 364-unit Elysian at Flamingo, which is being leased, according to the property’s website. Sims said other areas in the valley are seeing new or planned projects to develop some of the urban cores in the valley, including in downtown Las Vegas. One recent project was the five-story, 232-unit Fremont9 apartments, in the downtown area. Other potential projects could come to Henderson’s downtown area, along Water Street. Sims spoke on typical rents for the higher-end product going up around Las Vegas, stating that rents can range from $1.50 a square foot at 1,000 square feet of space or $1,500 a month. Other product can reach up to $2 a square foot with rents reaching up to $2,300 a month. “That’s always been the benchmark that out-of-town developers have looked at in order to come to Las Vegas and build their urban or podium-style product,” said Christina Roush, managing principal of Cushman & Wakefield’s Nevada offices. 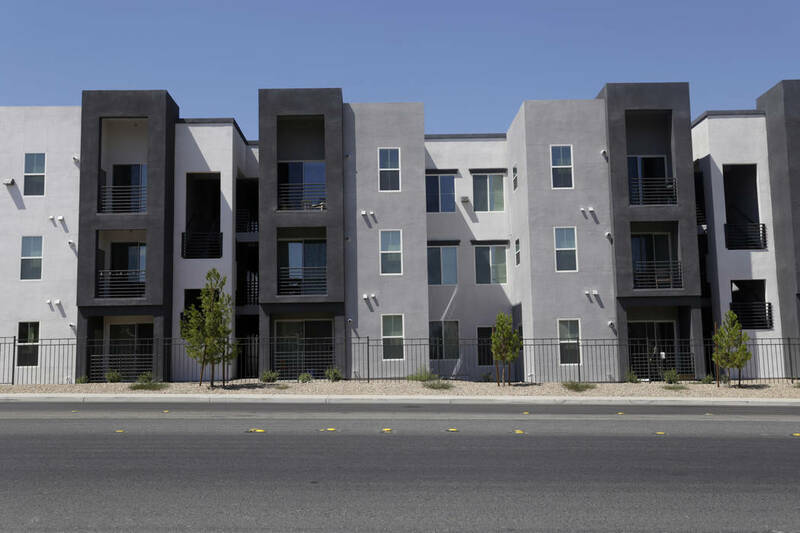 Roush estimated that the number was about $2 to $2.50 per square foot for developers to make higher-end multifamily products pencil in Las Vegas. Though a large amount of high-end multifamily is heading to Las Vegas, Roush and Sims agreed Las Vegas is not being overbuilt, in terms of vacancies. Vacancy was down to an average of 4.9 percent in Las Vegas, according to Cushman & Wakefield’s second-quarter report on the multifamily sector — down 20 basis points from the same time a year earlier. Megan Cambon, market analyst for CoStar, said rental rates were at about a $1,215 average in the valley on Class A multifamily product just after mid-November, up from $1,100 during the same time in 2017. That compares with Class B product that sat at $964 in the same period over $895 a year earlier. The average asking rents for the Las Vegas metro area surpassed $1,000 on all product types in 2018, hitting $1030 Nov. 20. That number bottomed out during the recession at $750 for average asking rents in 2010 and started rising in 2011. Luxury product in the valley is also new to developers. “I don’t think that developers in the past used to think this was a high-end market, but it’s quickly becoming that,” Roush said. Sims agreed, but he said the question is how deep that segment of the market goes. The rental profiles at these luxury properties varies, according to Sims. Renters range from being workers in high-end positions on the Strip to those working in the medical field in low-end tech positions. There is also a fair number of professionals living in the upper-end complexes. Still, there is some unknown factors moving ahead. “We question how deep that market is, and we don’t really know because we’ve never tested this amount of product being delivered,” said Spence Ballif, a senior vice president in the local office of commercial real estate brokerage CBRE. But other factors are in play here, according to Ballif. Ballif sees these factors as being healthy. “All of the things that have always been normal, which wasn’t last time when we got into trouble,” he said about the recession. Ballif said that when Las Vegas starts to build 35,000 homes every year again and anyone can buy a home, that would be a cause for concern. But he is not seeing any signs of that currently.